This shoe was built around simple yet striking style. These sneakers are that idea personified. Love the serial number on the heel. Made in Italy of course. 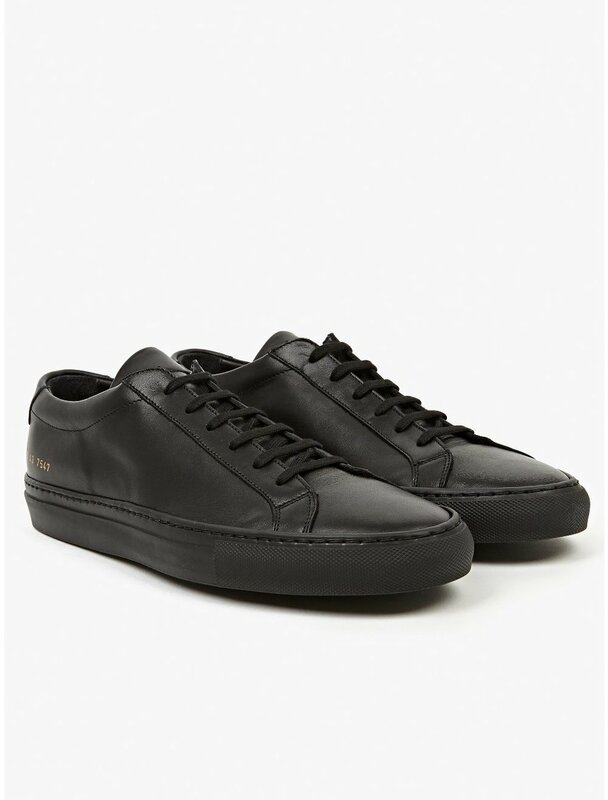 The Common Projects Mens Achilles Low Leather Sneakers for SS14, seen here in black. A signature style from Common Projects, the Achilles is a refined and minimal take on a classic training shoe. Of impeccable quality, the sneakers are crafted in the brand's Italian factory from premium leather and built on hard-wearing rubber soles.